Well, it’s the moment we all knew was coming but weren’t sure when it would happen… Anthony Davis wants out of New Orleans. It’s time to make up fake trades and pretend Davis is going to be traded to our favorite teams. The Lakers have been discussed as a suitor for Davis ever since he hired Rich Paul, who just so happens to be LeBron James’ agent. Now that doesn’t mean that he’ll be heading to Los Angeles, because the Pelicans have final say over where he goes and I’d expect them to go with whichever team offers the most. That being said, the Lakers look like they’d be willing to offer the most. Brad Turner of the Los Angeles Times is reporting on Twitter that the Lakers trade offer must start with Lonzo Ball, Kyle Kuzma, Ivica Zubac, and a “No. 1 pick”, which I assume means a 1st round pick. The Lakers had previously been against trading Lonzo Ball but you have to assume all bets are off now that Davis is in play. Lonzo doesn’t want to go to the Pelicans because he wants to go somewhere that doesn’t have an established starting point guard, but he doesn’t have a choice in the matter. This doesn’t quite seem like enough to get AD but throw in Brandon Ingram and you’d have my attention. The Lakers will most likely be forced to add Kentavious Caldwell-Pope because of financial reasons. The Lakers haul makes the most sense at first glance because you’ll want a nice young core to start the rebuild in New Orleans, but are there any other possible offers? This is where things are going to get fun. The New York Knicks could be doing something exciting and right! (Probably not, but the league is exciting when the Knicks are relevant) In order to get Davis, they’d have to give up a valuable asset: Kristaps Porzingis. If you’re going to be rebuilding, why not start with a guy who could be your cornerstone. KP, Enes Kanter, and picks would work financially, but is it enough to make the Pelicans look away from the Lakers long enough to consider it? Keep in mind the Knicks own their next three 1st-round picks. Just imagine Anthony Davis in New York and he’s joined by KD or Kyrie next summer… On second thought, let’s focus on getting rid of James Dolan first. The Wizards??? Yeah buddy, the Wizards. They’re going nowhere fast with their current group, so what would be there objection to making a move? John Wall and Dwight Howard make the finances work but I’m sure the Pels don’t want Dwight because no one wants Dwight. Let’s throw in Marcus Morris and picks. Lots of picks. Would the Pels rather have Bradley Beal? I guess the Wiz just don’t have enough to make a serious offer. It was worth a try. Sorry Washington. If the Pelicans are going to go with the group of young guys from LA, then will they want to keep Jrue Holiday? I’m sure they’re are plenty of teams willing to part with some assets for an All-Defense level point guard who can score and facilitate. As a Sixers fan, I’d love to have Jrue back. He fills a need that the Sixers have and to be quite frank… I miss him. I’m still not ready to give up on Fultz, but if it means we can bring in an All-Star caliber point guard who fits the needs of the team, I’m all for trading him along with Chandler, Muscala, and the Miami pick. 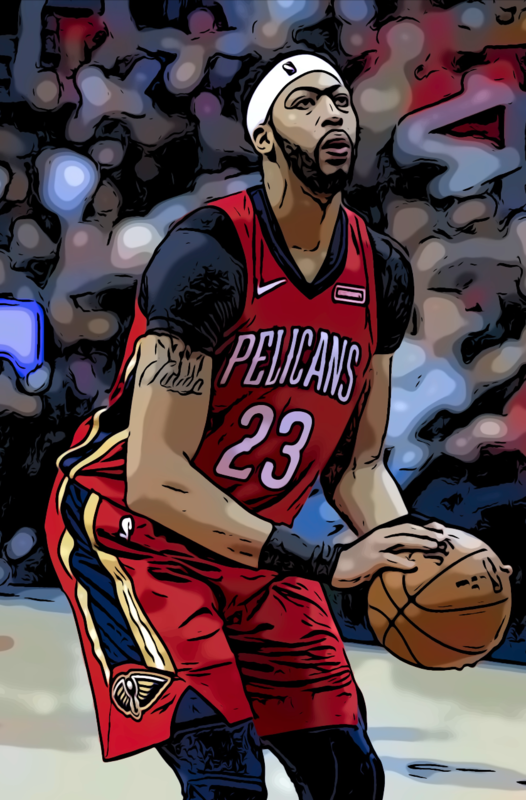 The Anthony Davis shenanigans could work out in Philadelphia’s favor, as I want all scenarios to work out.